The average cost of memory care in Frankfort is $3,300 per month. This is lower than the national median of $4,650. Nearly 15 percent of Frankfort's population of 15,827 are aged 65 and older. These Frankfort seniors may represent part of the population of 110,000 seniors in Indiana living with Alzheimer's disease, as reported by the Alzheimer's Association. These seniors may benefit from living in one of the four memory care facilities in the Frankfort area, which includes those facilities in nearby Lafayette and Monticello. All memory care facilities in Indiana are a type of residential care facility. The Indiana State Department of Health licenses these facilities in Frankfort and the rest of the state. This oversight ensures that the staff at memory care facilities provide specialized care to its senior residents living with Alzheimer's disease and related memory disorders. Cost of living is low in Frankfort, ranking 76.4 on a scale where 100 represents the national average. Housing costs are especially low at 46. Grocery and utility costs are just shy of the national average at 99. Considering these expenses may help seniors' families budget for memory care facility costs. 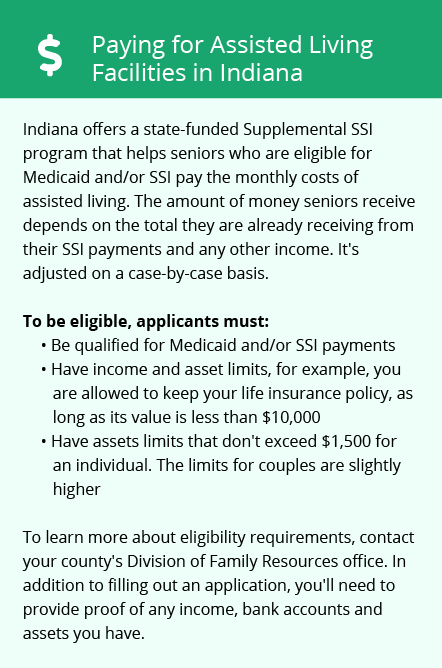 Frankfort seniors may discover some tax savings thanks to Indiana's tax laws. The state does not tax social security income. However, other types of retirement income, such as pensions, are taxed. Frankfort's climate ranges from cold winters to warm summers. Winter low temperatures drop to the teens, and Frankfort gets about 21 inches of snow every year. Summer highs are in the mid-80s. The area sees more rain and fewer sunny days than average as well. Crime rates in Frankfort vary. Violent crime rates rank 21, compared to a national average of 31.1. However, property crime rates are higher at 57.1, compared to a national average of 38.1. Seniors' families may want to ask about security measures in place at Frankfort memory care facilities to reduce the risk of their loved one becoming a victim of a property crime. Memory Care costs in Frankfort start around $3,300 per month on average, while the nationwide average cost of memory care is $4,778 per month. To see a list of free memory care resources in Frankfort, please visit our Assisted Living in Indiana page. 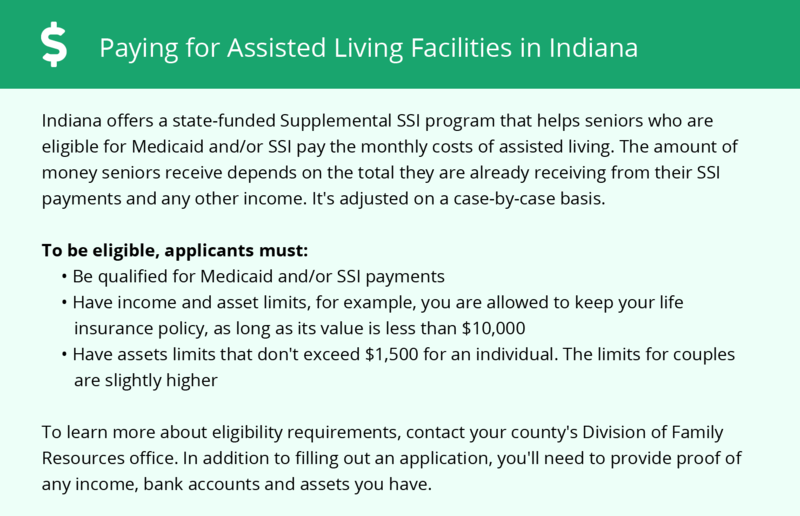 Frankfort-area assisted living communities must adhere to the comprehensive set of state laws and regulations that all assisted living communities in Indiana are required to follow. Visit our Memory Care in Indiana page for more information about these laws.